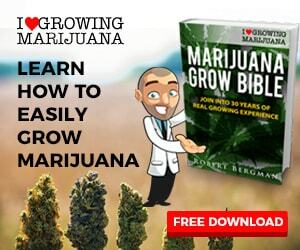 Once you get started and learn how to grow weed and taste your first buds you will be hooked. From there you will begin to master the ins and outs of growing cannabis and you will never stop growing weed. Here are my grow journal reports. My grows aren't always perfect but I learn more with each one. And the smoke is a step above anything I could buy at any price. This is my Hells Angel OG – Karma Genetics Biker Kush grow. Biker Kush is almost pure HA OG. I am grateful Karma Genetics is working this strain but at the same time part of the problem with OG Kush is all the renaming that goes on. OK here is a Sugar Punch and C99 scrog grow. This is the exact same set up I used for my last Sugar Punch Grow. So this will be an aeroponic scrog under 1200 watt HPS with two Blockbuster 6 Reflectors and 2 600 watt Phantom ballasts. Want To Get Started With Aeroponics?